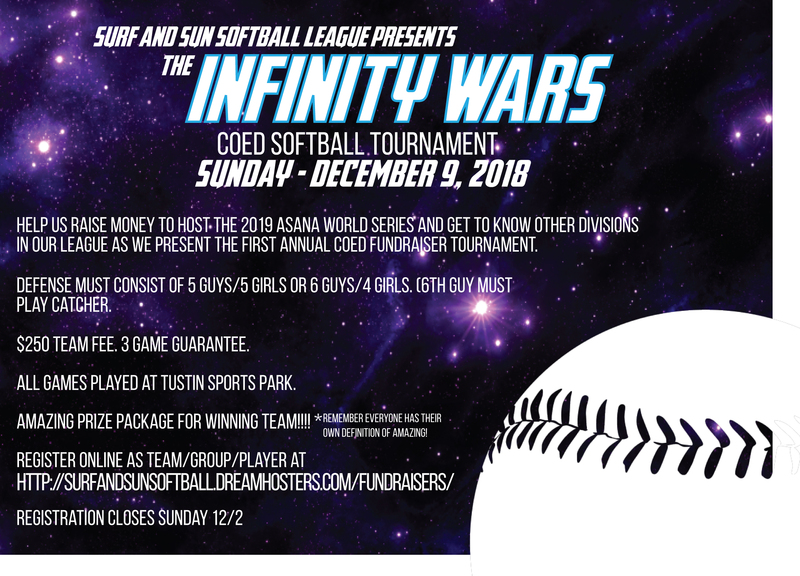 On December 9, we are hosting our inaugural “Infinity Wars” Coed Softball Tournament to fundraise towards hosting the 2019 ASANA World Series in Long Beach! 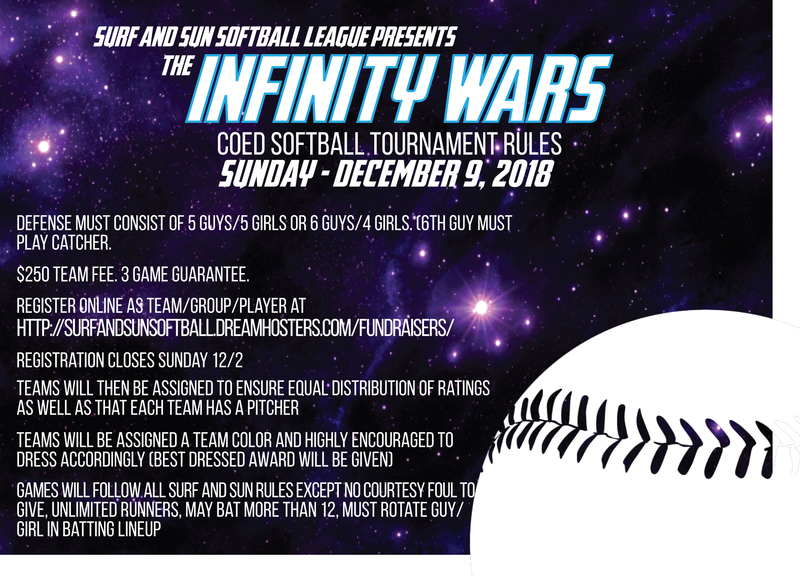 You can sign up using the form BELOW. Must register by 12/2. See flyers for details. To schedule a fundraiser, please see the Fundraiser Request Rules in the League Docs tab.